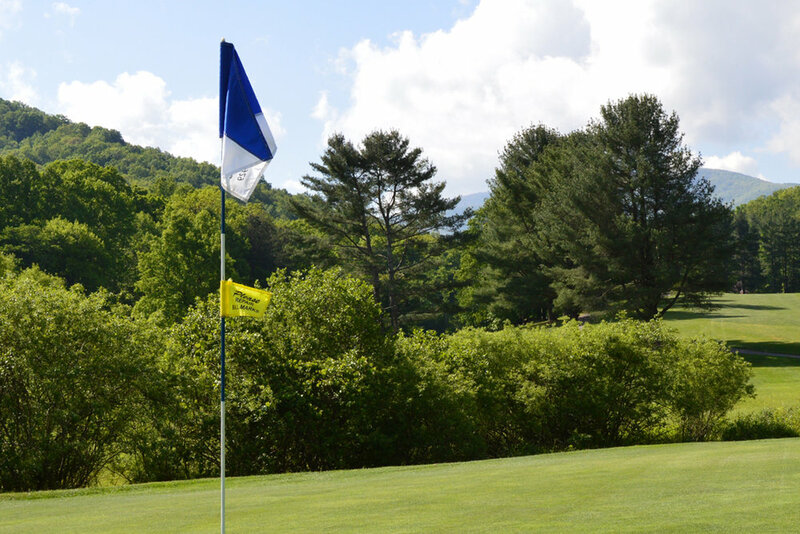 Black Mountain Golf Course is located at the foot of the beautiful Black Mountain Range in Western North Carolina. The 6,215yd par 71 course has a front nine originally designed by Donald Ross and is home to the famous 747yd, par 6 17th hole, at one time the longest hole in the world. Black Mountain Golf Course is a unique, fun and down to earth golfing experience. 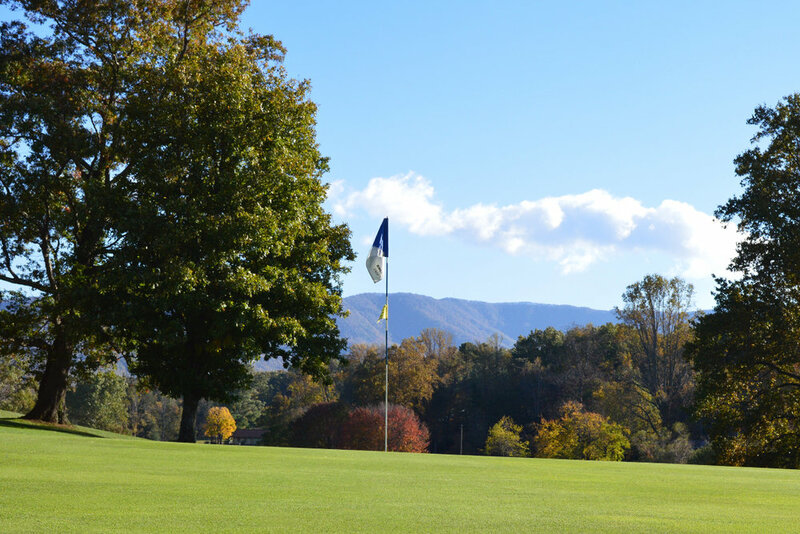 Established back in 1929, the course is surrounded by some of North Carolina's most spectacular mountain views. The course is located in the heart of historic Black Mountain just seventeen miles east of Asheville. Check in at the pro shop, warm up your short game on the practice green, and enjoy a break at the turn or after the round at the Tap In Grill. Join us for a round at unbeatable value. Weather permitting, the course is open daily, except for Christmas Day. Call the course today for information, tee times and directions. Call the Pro Shop or click on the button below today to make a tee time for yourself or your group. If you are planning a visit with a larger group or you would like to plan an event or tournament, give us a call, we are here to help. Please check in at the Pro Shop at the top of the parking lot 20 minutes before your tee time. Cash and credit cards are accepted. (Visa / Master Card / Discover) Please note our cart policies below. *A Trail Fee of $5 per round required if walking before 11:00 on weekdays. (No fee if Annual Pass holders walk after 11:00am on weekdays.) Riding required if playing before 12:00 on weekends. The Player’s Pass costs $200 per year. This is a great option for the more frequent visitor; the pass allows golfers to play and ride at a reduced rate throughout the year. Each Player Pass holder will be required to ride but at a reduced rate of $25 through the week and $35 on the weekends for the 2018/19 golf season. The course is located in the town Black Mountain, North Carolina, seventeen miles east of Asheville. From Interstate 40 take Exit 64. Take Highway 9 North towards the town of Black Mountain. Cross over Highway 70 (East State Street), and continue on Highway 9 (Montreat Road). Turn left onto (and continue on) Ninth Street until you see the golf course on your left. Turn right onto Hiawassee Ave. Turn left onto Ross Drive. Pro-Shop is at the top of the parking lot.